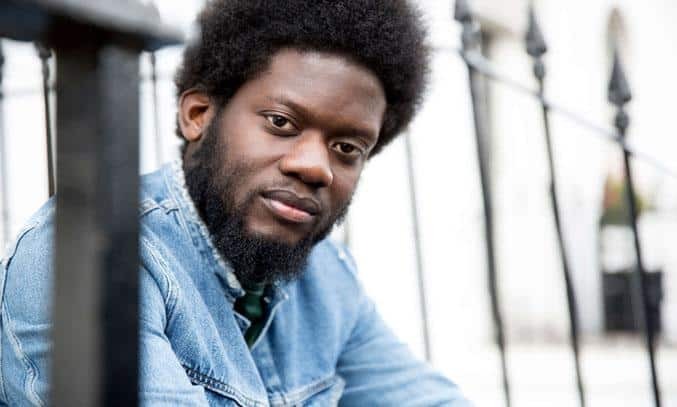 Five years after the release of his debut album HOME AGAIN, Michael Kiwanuka makes a welcome return to the music scene. Following a number of sell-out dates in May, including a night at London’s Royal Albert Hall, the British singer-songwriter takes his critically acclaimed second album LOVE & HATE out on the road for seven new shows – and it certainly packs a powerful punch. Arriving on stage with his seven-strong band, Kiwanuka cuts a very unassuming figure on stage. If his last album was about returning home again, his new material is about leaving it behind, with the opening numbers PLACE I BELONG and the jaunty ONE MORE NIGHT signalling a new and more sophisticated phase in the artist’s career. Those who know Kiwanuka will know that it’s his deep, rich, grainy vocals that set him apart from other artists in his genre. Often compared to Bill Withers and Otis Redding, Kiwanuka’s powerfully anguished voice is simply memorising, pulling you in on tracks like ANY DAY WILL DO FINE, TELL ME A TALE and HOME AGAIN. But Kiwanuka is more than just a singer, he’s also impressive songwriter. There’s a modesty and honesty found in the affecting, soulful hooks of his songs, particularly on tracks like FALLING and THE FINAL FRAME. The Afrobeat-inflected BLACK MAN IN A WHITE WORLD also stands out as a highlight, captivating the audience with its rhythmic clapping and challenging lyrics. In fact, the only element that appears to be missing from his live performance is a string section. It is the strings and other orchestral elements in Kiwanuka’s second album that provide the backdrop for this brooding and introspective journey and their omission from the live act means some of the tracks, most notably RULE THE WORLD, loses a little of its edge. That said, this doesn’t deter the audience who are quickly on their feet for the encore of COLD LITTLE HEART, an extended version of Kiwanuka’s psychedelic rock/soul melange and the rousing and anthemic title track LOVE & HATE. A truly satisfying live performance from one of Britain’s most exciting homegrown talents. Michael Kiwanuka performed at The Lowry on 17 October and tours nationally until 25 October 2017.